"Things will become normal again when the homeland returns." Every morning, from their refugee camps or occupied lands, Palestinians would eagerly await for Naji Salim Al-Ali&apos;s satirical cartoons. 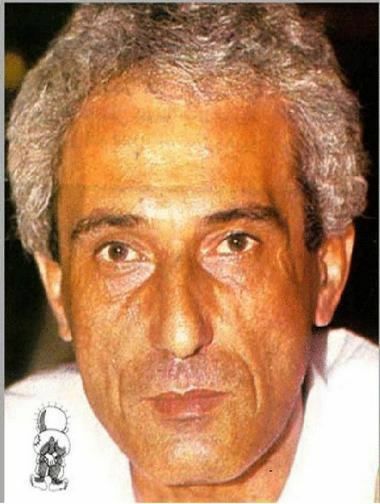 Al-Ali was known for his callous honesty and boldness in portraying the truth on the Palestinian cause, making him one of the most prominent Arab cartoonists ever known. He wholeheartedly fought the Israeli occupation with his art, dedicating every word written and every line drawn to the plight of his people. He was elected president of the League of Arab Cartoonists and received the first prize in the Arab cartoonists&apos; exhibitions held in Damascus. After his death, he was awarded the "Golden Pen of Freedom" in appreciation of all his work by the International Federation of Newspaper Publishers. Japanese daily, Asahi Newspaper, once wrote: "Naji Al-Ali draws using phosphoric acid," emphasizing how daring and straight to the point his drawings are. Born in 1938 in one of the 480 villages demolished by Israel, Al-Shajara housed him for 10 years. 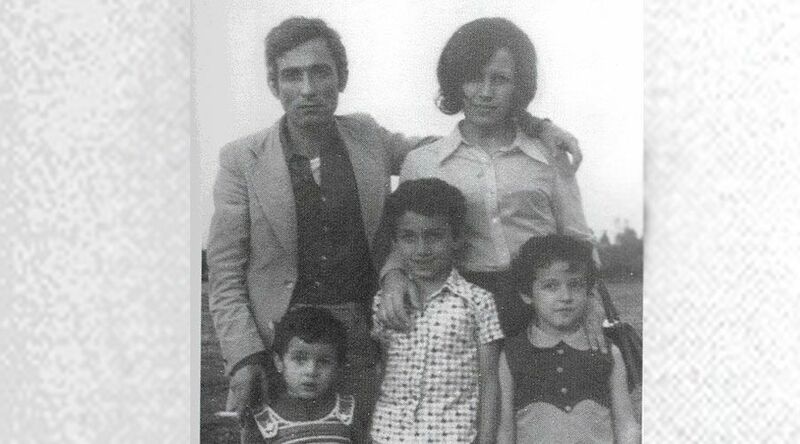 Al-Ali was then expelled along with his family and took refuge in Ein Al-Hilweh refugee camp in Lebanon. His rebellion led him to imprisonment numerous times, yet he never stopped representing Palestinians&apos; agony with his sketches. 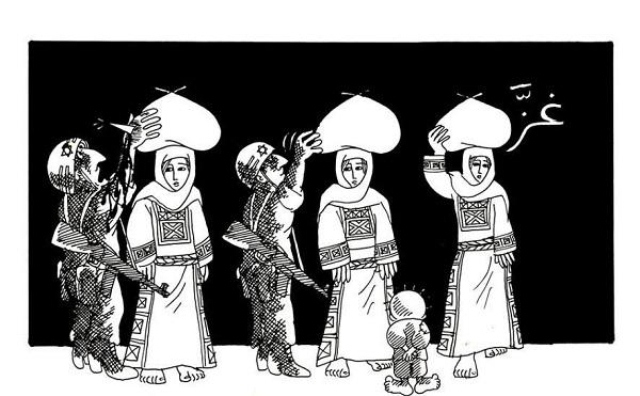 The Palestinian cartoonist was on the move between Saudi Arabia, Lebanon, and Kuwait for the first chapter of his life. When he went for journalism, his career was launched at Al-Qabas newspaper in Kuwait. His stone-hard beliefs weren&apos;t all that welcome in the latter country, so he moved to the newspaper&apos;s international office in England along with his wife and four children. His first published drawing was printed in Al-Hurriya newspaper edition no. 88 on the 25th of September, 1961, along with an article for the writer and political activist, Ghassan Kanafani. 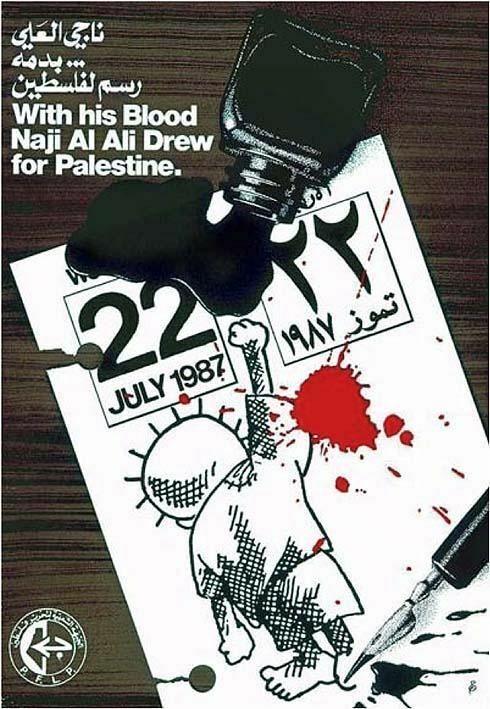 At age 49, Al-Ali was shot on his way to work on July 22, 1987. It was hard to track his assassin, especially that the satirical cartoonist had over 100 death threats piling up in his name. The criminal was never caught. After a five-week coma, Al-Ali passed away on the 29th of August. Throughout his life as a political caricaturist, Al-Ali created more than 40,000 cartoons depicting the plight of the hundreds of thousands of Palestinian refugees. Having been a refugee himself, his drawings reflected a deep-rooted bitterness and reprisal toward the occupation. These caricatures continue to live 30 years after his death and remain a symbol of the Palestinian resistance. Handala means bitterness and is the name of a desert plant that grows in Palestine. For Al-Ali, this name meant so much more. In 1969, a 10-year-old barefooted refugee named Handala was introduced to the world. “The child Handala is my signature, everyone asks me about him wherever I go. I gave birth to this child in the Gulf and I presented him to the people. His name is Handala and he has promised the people that he will remain true to himself. I drew him as a child who is not beautiful; his hair is like the hair of a hedgehog who uses his thorns as a weapon. Handala is not a fat, happy, relaxed, or pampered child. He is barefooted like the refugee camp children, and he is an icon that protects me from making mistakes. Even though he is rough, he smells of amber. His hands are clasped behind his back as a sign of rejection at a time when solutions are presented to us the American way." 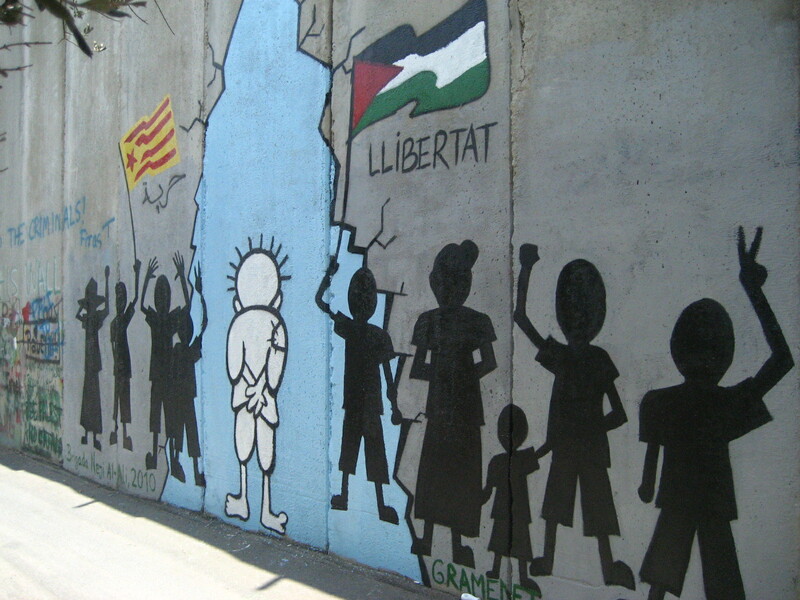 Handala is a timeless witness to the Palestinians&apos; dedication and commitment to their United Nations-recognized ‘Right of Return’ to their stolen lands. Up until this day, many Palestinian refugees still have keys to their long-stolen homes. 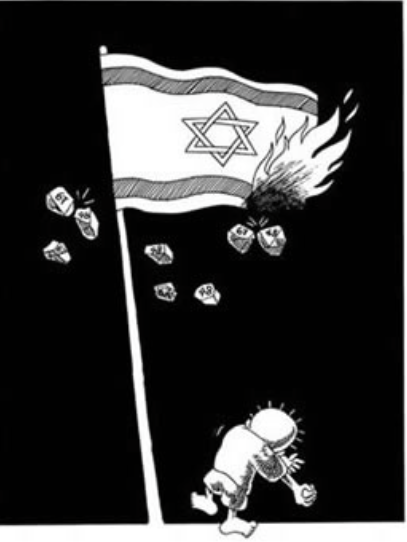 In Al-Ali&apos;s drawings, Handala threw the first Palestinian stone before the outbreak of the Intifada, aka “The war of the stones," of 1987. His drawings are said to have inspired the spate of stabbing attacks in the third Intifada, also known as "Knife Intifada" in 2015, which was sparked by the Duma arson attack in which a Palestinian family&apos;s home was set on fire by a Jewish settler. It caused the loss of three family members including the 18 month-old Ali Dawabsheh who was burned alive. In his rebellious, sarcastic, and moving drawings Al-Ali confined to no boundaries. His sketches reflected the voice of Palestinians and the Arabs&apos; public opinion as it broke the silence around the injustice and inhumane attacks. He was loved and hailed for his relentless criticism of oppression, and his cartoons earned him many powerful enemies. While they may have taken his life, his legacy and spirit remain today through his drawings. 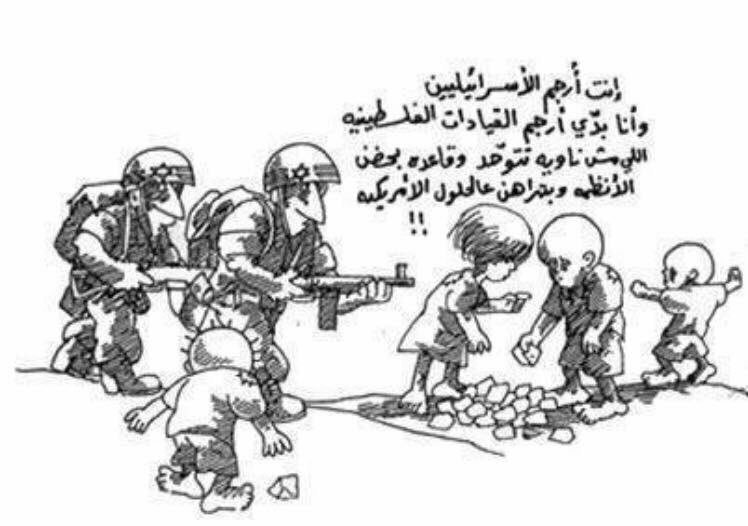 Handala will never cease to narrate the story of the Palestinian cause. Naji Al-Ali will always be remembered as a symbol of Palestinian resilience. "Handala is the witness of the century who will never die the witness who entered life all of a sudden and will never leave it. He is the legend - witness. This character was born to survive I will continue within him even after I die."